bacteria have lived inside humans for millions of years. 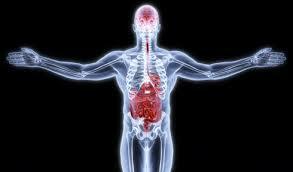 “Scientists have also gathered evidence that gut bacteria can influence anxiety and depression. Stephen Collins, a gastroenterology researcher at McMaster University in Hamilton, Ontario, has found that strains of two bacteria, lactobacillus and bifidobacterium, reduce anxiety-like behavior in mice (scientists don’t call it “anxiety” because you can’t ask a mouse how it’s feeling). Humans also carry strains of these bacteria in their guts. In one study, he and his colleague collected gut bacteria from a strain of mice prone to anxious behavior, and then transplanted these microbes into another strain inclined to be calm. The result: The tranquil animals appeared to become anxious. “Perhaps the most well-known human study was done by Mayer, the UCLA researcher. He recruited 25 subjects, all healthy women; for four weeks, 12 of them ate a cup of commercially available yogurt twice a day, while the rest didn’t. Yogurt is a probiotic, meaning it contains live bacteria, in this case strains of four species, bifidobacterium, streptococcus, lactococcus, and lactobacillus. Before and after the study, subjects were given brain scans to gauge their response to a series of images of facial expressions—happiness, sadness, anger, and so on.